Greater Noida (30/12/18) : VIP numbers are always in demand by the rich and affluent car owners of Noida and Greater Noida. Such high demand also used to result in corruption and muscle flexing until the UP government fixed a price for such high-grade numbers. The authorities moved the entire process online to enhance transparency and make the process efficient. For this first time ever, the online booking of VIP numbers in Noida had started on 2 May 2014. Such is the high demand for this initiative that in order to get a VIP number, almost Rs. 38,92,000 have been spent by the residents of Noida in the past one and a half year. It proves that the people in the city are willing to pay a huge amount for the VIP status which these numbers provide. However, the assertion of transparency and corruption free allotment is not bereft of controversy. As the fresh allotments of VVIP numbers began in Noida today, Ten News discovered complaints of the whole system being hacked and most demanded numbers being sold within seconds. The person complaining about the issue says that the online system is being rigged by hackers and the VIP numbers are being fixed by ‘brokers’. The complainant, wishing anonymity further added that he had predicted the prestigious VIP number the day before it was sold, which according to him was already booked by the hackers online. He tried booking the same number by himself using a 200 Mbps connection on several different computers, to maximise his chances. Yet he failed to get that one particular VIP number, which in the end was sold off the moment the online sale began. 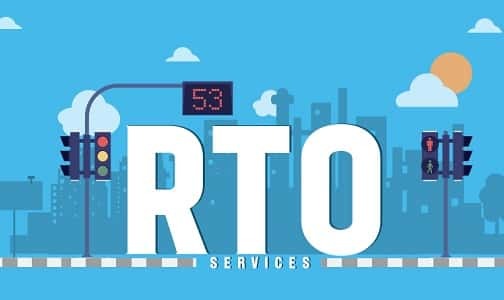 On contacting the RTO department to discover the truth behind these allegations, the official denied all such claims and claimed that the process is free and fair. Arunendra Kumar Pandey, ARTO told us that the online process is fully secured and safe from hackers or any type of malpractice. He further denied having any knowledge of the involvement of any broker in the alleged ‘pre-booking’ of online VIP numbers and distanced himself and the department from any kind of middle-men. The RTO is also looking positive on the online auctioning of VIP numbers. He also added that the online auctioning is a great step to increase the transparency and bring in more revenue for the agency.